What happened in 2014: Spent most of his season in the minors, but pitched some solid innings in the majors for the Dodgers (mostly). Pedro Baez is not Kenley Jansen. He never has been and never will be. He does have a chance to be a solid relief option, but folks expecting him to follow in Jansen’s footsteps are going to be disappointed. He made his MLB debut on May 5 against the Nationals. He gave up two runs and struck out two in one inning of work. Mike wrote a little about him before his debut. Don Mattingly and Co., seemed to take a liking to him, as he was used in more situations than expected — even some high-leverage situations, which would prove to be a mistake (you know what’s coming). With the Dodgers’ bullpen struggling for the better part of six months, it needed saving. But I wasn’t counting on Baez being the guy to save it. Daniel looked at the possibility of Baez actually taking over as the team’s primary setup man, but found some concerns. “Baez throws his fastball around 3/4 of the time, so velocity is pretty important for him. He started out averaging 97, peaking at 98 in early August. He’s had some ups and downs since, but his final two games in Wrigley were down to about 93 on average. It’s important to remember that this is only Baez’ second year of pitching. Including his time in the Arizona Fall League last season, he pitched 62-1/3 innings. So far this season, he has pitched 64-1/3 innings. He’s in uncharted territory for his workload, so it’s worth keeping an eye on. When you put all of these factors together, it starts to make the projection of a 4.30 ERA on Fangraphs’ depth chart seem not so ridiculous. That projection is the highest of any Dodger listed, including those who Baez are replacing. This just shows what a sad state of affairs the Dodgers’ bullpen was late in the season. And then came the National League Division Series, when Baez allowed the eventual, game-winning run to score off a Matt Holliday 3-run home run. “2) Should Mattingly have yanked Kershaw earlier, or not brought in Baez? Maybe. Probably? But not certainly, I don’t think. Both outs in the inning were via strikeout. He had two strikes on Carpenter. He was certainly starting to falter, but he wasn’t giving up doubles after homers after scorched liners, either. 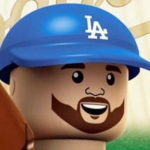 I get that the inclination is to kill the manager, and I would have probably had Howell in to face Carpenter myself, but I also more than understand that if Mattingly is choosing between the best pitcher in the world and the pile of awful that has been the non-Kenley Jansen bullpen, that he’s sticking with his ace. While I might not totally agree with the last line (and — hindsight acknowledged — I would have preferred League in that situation), Baez was thrown into a tough situation that got the best of him. 2015 status: He’ll make the league-minimum for the next couple of years. He has two options remaining, so an assignment to Oklahoma City isn’t out of the question. But he might win a spot in the bullpen out of spring training on the strength of his fastball. I’ve softened on him a bit, but he just needs innings. Period. That’s the only way he’s going to get better.